The thermal cyclers at Next Day Science produce consistent, reliable results while making gradient technology affordable. The three elements required for a good thermal cycler are: reliable performance, a fast uniform block, and user friendly software. The Next Day Science units are extremely simple to program, compact in design, and built to perform. We offer thermal cyclers in a range of types and sizes, with options such as precision thermal control, gradient capability, sliding adjustable heated lids and more. 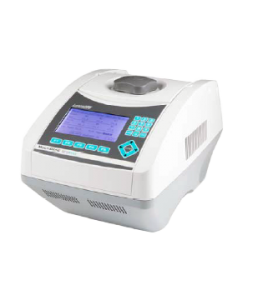 Rest assured that the thermal cycler you purchase will have the specific configuration of features that matches your lab requirements, at an affordable price. What is a thermal cycler? 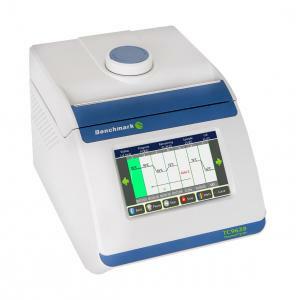 A thermal cycler is also commonly called a thermocycler, PCR machine, or DNA amplifier. It is a piece of lab equipment that is used for amplifying segments of DNA by focusing on the polymerase chain reaction (PCR). 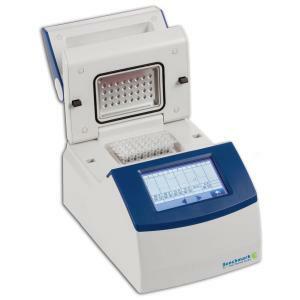 Other common uses for the thermal cycler include creating temperature-sensitive reactions, such as restriction enzyme digestion or rapid diagnostics. How does a thermal cycler work? A thermal cycler has a thermal block with holes where tubes holding the reaction mixtures are placed. The temperature of the cycler then rises and lowers in discrete, pre-programmed steps to facilitate reactions. How were the original thermal cyclers developed? The very first thermal cyclers were large and cumbersome and had several water baths held at constant temperatures, with samples moved between baths with a robotic arm. Because the enzymes were destroyed at each step of the heating process, new enzymes had to be added at every cycle, using an automated pipettor with open reaction tubes. There were also older thermal cycler machines, where the block was submerged in an oil bath to control temperature. What should I look for in a thermal cycler? A high-quality thermal cycler should be reliable, speedy, and easy-to-use, with a fast uniform block and user-friendly software. The newest models are simple to program, compact in design, and come in a range of capacities to serve any lab’s needs. For innovations, look for precision thermal control, gradient capability, and a sliding heated lid, among other options. What are some recent innovations in thermal cyclers? At one time, mineral oil was used to discourage condensation inside the tubes, but the latest model thermal cyclers often have a heated lid instead that is held tightly against the lids of the reaction tubes. This pressing action prevents condensation of water developing from the reaction mixtures on the underside of the test tube tops. The highest quality thermal cyclers have silver blocks that create quick temperature changes while maintaining a consistent temperature throughout the block. There are also thermal cyclers that come with several blocks, which permits several simultaneous PCR reactions to be conducted. Reaction tubes are moved between the blocks in an automated process. The gradient function creates multiple temperatures on different parts of the blocks, which is helpful when testing out the best annealing temperatures for mixtures, such as PCR primers. Mini thermal cyclers allow for reaction mixtures to go through hot and cold zones with a microfluid chip, and thermal cyclers with quantitative PCR even have optical systems that allow fluorescence to be monitored during reaction cycling. What can I expect to pay for a thermal cycler? Thermal cyclers are not cheap, often costing thousands of dollars. The increase in mass production and open-source hardware designs have reduced the cost to some extent. If your laboratory budget is tight and you are looking for the best price, be sure to contact a reputable supplier, rather than just going with the lowest price model. Ask lots of questions to make sure this is the right piece of equipment for you. A quality supplier will have a well-informed customer service staff to ascertain the correct technical specifications for your laboratory needs.